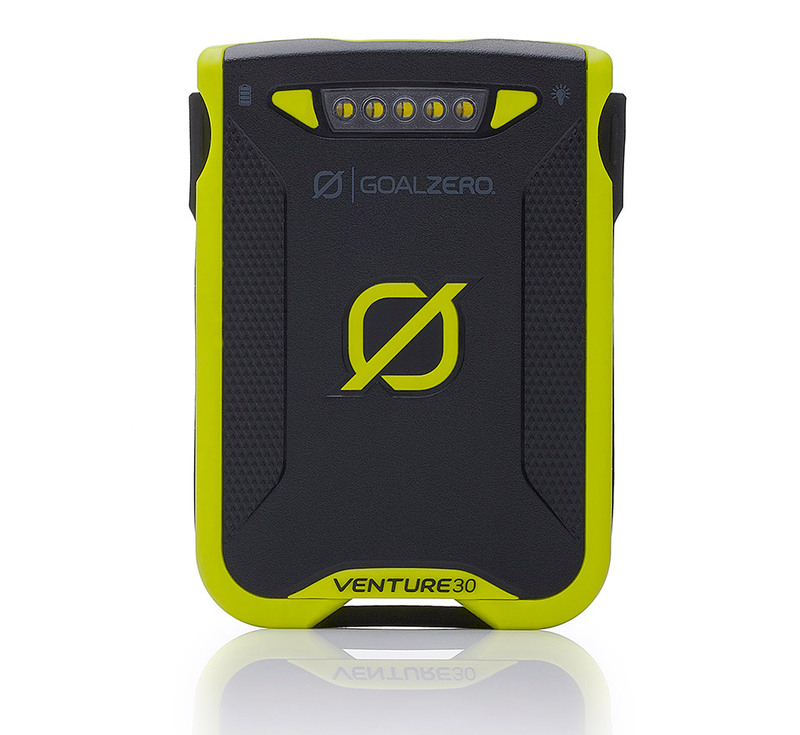 From big to small powerbanks and generators, Goal Zero has it all. You will never run out of batery. Click on read more to see the products. Never be powerless with a portable backup generator. Enjoy serious power with no fumes, fuel or noise. Portable, powerful and completely plug-and-play. A plug-and-play, silent, fume-free generator for emergencies, camping, or wherever you need power. Your gas-free source of portable power to keep lights, phones and laptops powered on through any situation. Quiet, portable power for base camps, cabins and unexpected outages. The Goal Zero Yeti 400 Solar Generator allows you to live life off the grid, camp in luxury, or power through an outage without the noise and fumes of traditional back-up generators. Charge more at once with these all-day power packs. Easy-to-use power packs provide the perfect cure to laptop power-outage pain. The Venture 30 packs the power you need to keep those small devices, cameras and tablets charged no matter the elements you may be out battling. With an IPX6 weatherproof rating and 7800mAh the Venture will keep everything running smoothly. A lightweight power supply to keep laptops and tablets charged up anywhere you go. The Sherpa 50 Recharger is easy to pack and light to carry so your gear now goes the same distance you do and quickly recharges from wall, car or sun. Designed to power all the gear in your kit, the Sherpa 100’s versatile array of ports include two ultra-fast, smart USBs for phones and tablets, a 12V port for lights, an innovative port specifically for laptops, and a detachable AC inverter for DSLR cameras. The Sherpa 100 recharges from the wall, car, or from the sun with Goal Zero’s portable solar panels. Power your laptop from the sun. Ultra-portable power supply for laptops, tablets, DVD players and more. Paired with durable solar panel for endless power. Lightweight rechargers for quick and easy power. Never deal with the pain of a dead phone or boost your tablet for all-day/all-night power with these Goal Zero rechargers. Double the power for longer excursions. Designed to give multiple charges on small devices and quickly charge up from USB or sun. More than a phone charger, more than a flashlight; the only all-in-one power solution for your pack. Quick charge phones, POV cameras, and other USB-powered gear. It’s solar-ready and features a replacement, rechargeable battery that powers up from any USB. Power Output: USB, AA/AAA Batts. With the Guide 10 Plus Recharger you have a portable, rugged charging kit as adventurous as you are. Charge AAs from the sun or any USB port, then power your phone, MP3, GPS, or perk up your tablet in a pinch. GoPro Ambasador Tommy Swaan takes 1st place!